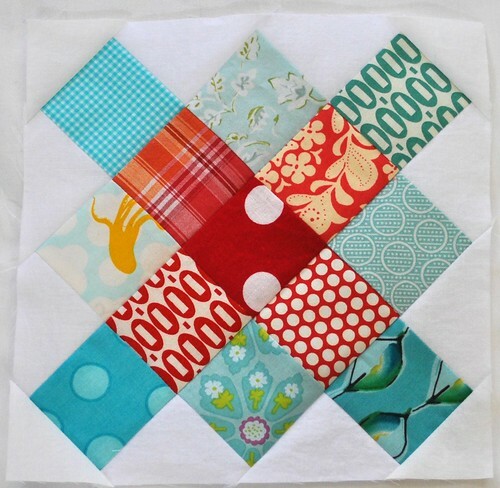 Sew Inspired: star blocks. etc. I had the surgery on my broken finger last week and checked in with my doctor the other day and everything is looking good. Well, as long as it is covered up by a bandage.... He said it should be fully healed in 6 months and the only questionable thing is what the new fingernail will look like when it grows in. I have some pins in there holding the bone in place and they will be removed in 4 weeks. In the meantime I'll be getting a permanent, yet removable splint next week and find out what kinds of physical therapy I will need to do. These two blocks (above) are for the Believe circle of the do good stitches bee. I didn't think I'd be able to sew at all right after my accident so I'm happy these are done. 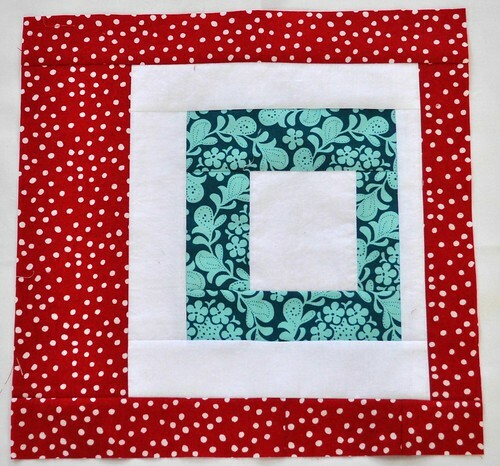 And I sewed up block #11 for my own personal granny square quilt. I think I will add some blacks in next time I'm ready to cut more squares for this project. I started something new, too. I couldn't help it. There were a few nights when I couldn't sleep this last week, and I pulled these fabric pairs out one night. I have 3 blocks done so far. I've cut out two blocks worth of pieces for each fabric pair and am not sure if I should just do the opposite block (compared to the ones already sewn) or mix it up. What do you think? I really love the crab one. Want so bad to make a Granny Square...need to finish a few things first. Think your idea of making opposites in your star blocks is a good one! It looks like you've got a lot of blue fabric there--if you ever get tired of it and want it out of your collection . . . :) Haha! Glad you're finger is doing better and that you're back to quilting. You know, I think I really like that star block. The crab fabric is adorable. Glad you were able to do some cutting and sewing. I'm so glad you're finding yourself able to quilt - that would be tough! And I get a bit sick to my stomach thinking about your finger...aiyiyi! That PT will be important - I know after a less severe injury than yours, my middle finger,after 2 weeks of immobility, needed a LONG time of stretching in order to straighten out. Freaky! I love all your color choices in every single block - I'm a sucker for any wonky square, and those crabs are so cute!!!! 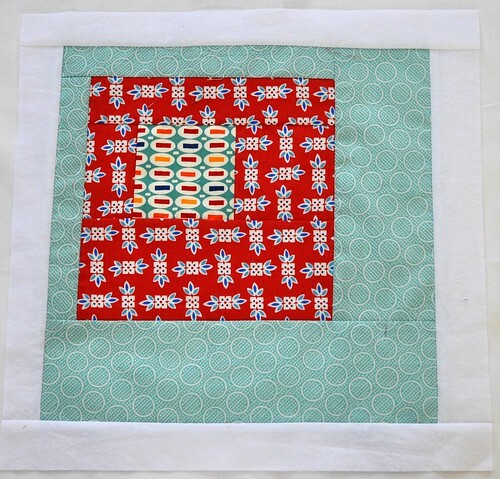 You are sewing with a bad finger and making such wonderful blocks! I love the last set of three. So pretty and what great flying geese! If I had a bad finger I'd just sit and read. Great inspiration you are! Ah! I cringe just thinking about the finger. I'm so glad you are on the mend. I like looking at all your pretties and I would hate for you to be slowed down in making them! Your work looks great despite the broken finger, I wish you a very speedy recovery! I love all your blocks! Hope you recovery quickly. Gorgeous blocks! Amazing work considering you're nursing a broken finger. Get well soon.